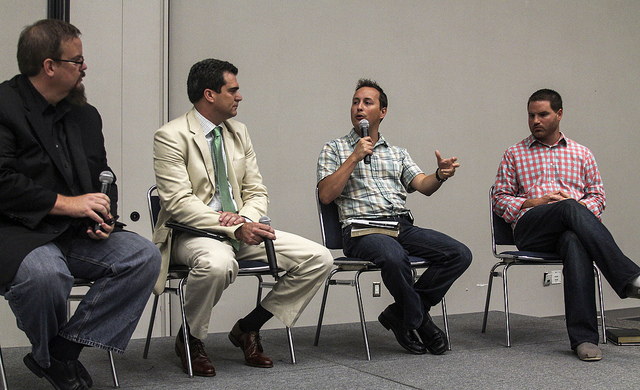 At this year's SBC one of the highlights was a breakfast panel featuring a dialogue about the hermeneutic of Christ-centered teaching and preaching. The breakfast was completely full which would suggest that people think this is a significant issue. The breakfast was sponsored by The Gospel Project, and I'm thankful for TGP's investment in bringing this together. The panel featured Ed Stetzer, Eric Hankins, Trevin Wax and Jon Akin debating the merits of a Christ-centered approach to interpreting scripture, which is generally positioned against the historical-grammatical approach to interpreting scripture. I would encourage you to take the time to listen to the audio. I think it can be challenging and encouraging.